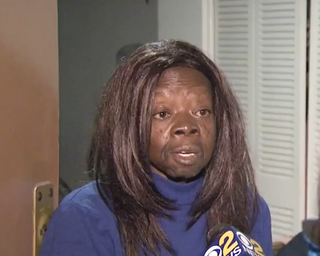 A 70-year-old woman was the victim of a brutal theft while she was waiting to get kidney dialysis in the Bronx borough of New York City, CBS New York reports. According to the report, at around 4:30 a.m. Saturday, Jean Richards stood alone on West 233rd Street, where she had just been dropped off by a paratransit bus in front of the Da Vita Dialysis Center for treatment. The center was not open yet, so Richards patiently waited. Then a suspicious woman approached her and asked about the bus before attacking her. “Because I see she was up to no good, and the next thing, she grabbed my pocketbook and I held on to it, and she punched me in my face, like, about five times,” she told CBS. Richards sustained minor injuries to her face and started screaming for help. “By this time, the driver was gone. I was by myself; I didn’t see nobody. I was yelling, I was screaming for help,” she said. The unidentified thief took off with Richards' purse, credit cards and other belongings. And now Richards is left traumatized, and still has to return to the center to receive the treatment for her kidney failure three times a week. “This is a terrible disease; you could die if you don’t get your treatment, so what I did this morning, I called them and I’m changing my time, so I’m going in when it’s light out,” she said. Richards said she did not get a good look at the suspect, who was wearing a hood, because it was still dark out. The New York City Police Department is investigating the incident.